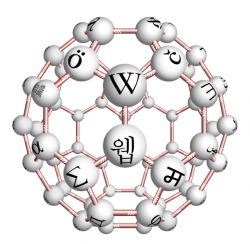 Wiki is not just Wikipedia. Expansion of the wiki WlineIknowIs. Wikiler is now being used by large businesses. But let's first open the Wiki topic a bit more. Wiki first used by Ward Cunningham in '94 (in the name of Wikiwikiweb) Web 2.0 With the development of its technology, it has become a leader in producing common content. The logic of wikis As we know from Wikipedia, common content creation and common content management. Good businesses wikis why should they use it? In today's large-scale companies, the level of knowledge and experience of employees is very different. Moreover, thanks to the well-developed perception of continuing education in recent years, specialized staff have started to emerge. There are hundreds of experts in companies that span different business lines, and although the expertise of these experts has created a high potential for information companies, it is difficult to work together in a physical environment. Thanks to Wikiler you can see who worked on which subject, when and how much. Thanks to Wikiler, experts working in different business lines can come together on a common project and they can work together. Thanks to Wikiler you become a common pool of information. When a worker comes in, the new employee is more easily adaptable to both the company and the projects already running. Wikiler speeds up and facilitates communication. As you can see who is working on the project and what the situation is, the number of questions such as "what happened" diminishes in the institution. Remember, knowledge is power. Wikiler information works and enriches on a common platform. Finding the documents you need from thousands of documents you keep on your computer can often become impossible. However, content is searchable in wikis. So you can easily find the content. And since the content is online, you also have access from anywhere. While you are working on technical documents about your company, you can work on your wiki page more than once if you work solely on Microsoft Word. One of the nice things about Wikile is that deleted work can be restored. So your content is always safe in wikis. wikis your wiki content will be categorized in it, since tagging (labeling) can also be done on it. So when you enter a library where there are thousands of books, you will find it as if you put your book in your hand. What is the cost of being a Wiki owner? Wikiler is free. Screwturn Wiki you can set up a wiki for your business.